Reflections on guarding Wilt Chamberlain, coaching LeBron James, and calling Michael Jordan “boss” from the player and coach whose career has spanned six decades. There is not much to see on the drive from Charlotte to the western banks of Lake Norman along North Carolina Highway 16. Around a few bends and past a couple of empty fields, a community springs up where the homes resemble castles and the lake is the backyard. Paul Silas settled here before Michael Jordan appointed him four years ago to coach the Bobcats (rechristened this year as the Hornets). Before getting the job, Silas had been attending games as a fan and built a relationship with Jordan, the team owner. “You know, you might become the coach,” Jordan once said, and Silas wrote it off as polite flattery. Until he got the job. The appointment made sense. It’s hard to think of another NBA figure who can match Silas’s résumé, his connections, his longevity, and his influence within the league. 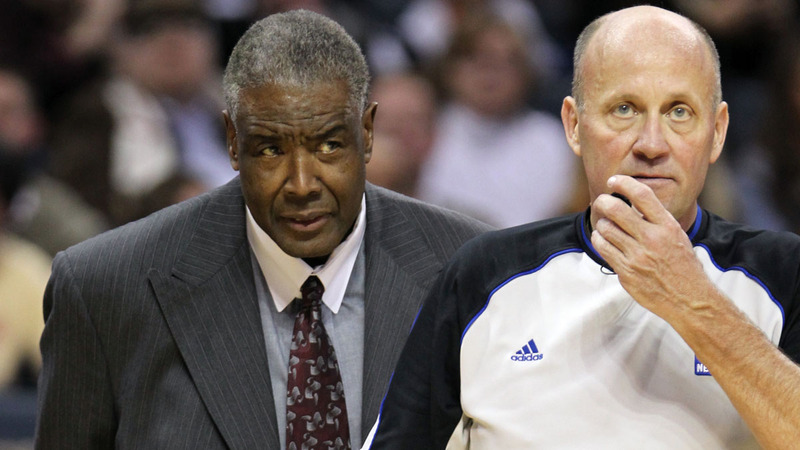 Over a career that has spanned six decades in the NBA, Silas’s experiences have run the gamut of success and failure. 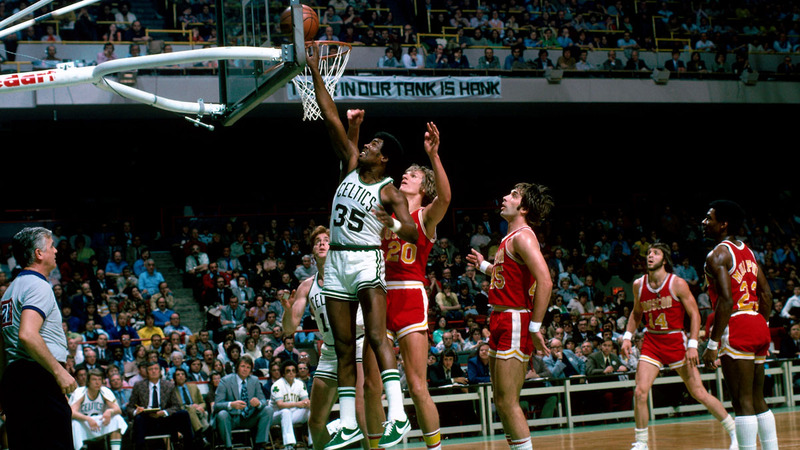 As a player, he won championships with the 1974 and 1976 Boston Celtics, where he was an interior force alongside John Havlicek and Dave Cowens. He won another title with the 1979 Seattle SuperSonics, where Silas served as the veteran sage on a team led by the backcourt of Dennis Johnson and Gus Williams. Silas was an undersize, relentless rebounder at 6-foot-7, a rugged forward who embraced his era’s physical style of play and still ranks among the league’s all-time rebounding leaders. As a coach, Silas had the misfortune of being at the helm of the 2011-12 Bobcats group that bumbled its way to an NBA-worst 7-59 record during the lockout-shortened season. Was that the most memorable moment of Silas’s career? No, it wasn’t even the most eventful part of his time coaching Sterling’s team. All the serious players convened at West Oakland’s DeFremery Park. 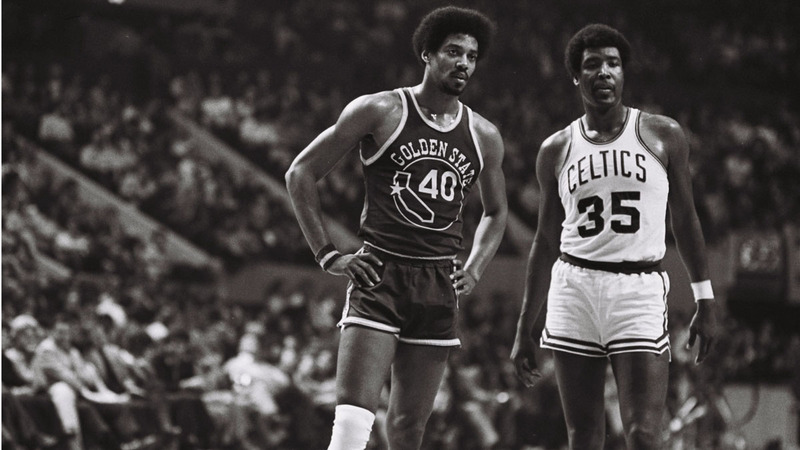 As a kid in the mid-1950s, Silas would watch Bill Russell play three-on-three all day. Russell, who is about nine years older than Silas, was a star for the University of San Francisco back then. “Nobody could beat him the whole day,” Silas said, “until the end, someone could beat him maybe one game when he was tired.” Silas would eventually follow in Russell’s footsteps at McClymonds High School, which Silas led to a 68-0 record in three varsity seasons. But Silas’s beginnings in basketball and in life were humble. His family moved often during his childhood. Silas was born in Prescott, Arkansas, in 1943. They relocated to New York and Chicago before returning to Arkansas by the time Silas was 6. His father, Leon, drank often, and Silas had few meaningful interactions with the man he became accustomed to seeing at home, slumped on a couch. When Silas was about 8, his family moved to Oakland, a far more integrated place than Arkansas, and Silas found that most people there, despite racial differences, got along with one another. “I got used to having white teachers and playing with white guys,” he recalled. When Silas took up basketball, he was already tall and lanky, but he had no idea how to play. He stayed with the sport, watching Russell at the park before he was old enough to join the games. “I wasn’t that tough at that time,” Silas said. “Players used to come at me and beat the hell out of me.” Those physical tests turned out to be crucial for Silas’s development. He learned to strike back when another player got rough with him, and before long he discovered that being the aggressor could prevent opponents from ever challenging him to begin with. By his senior year at McClymonds, Silas was averaging more than 30 points a game and was named the best player in California. Yet despite his achievements, it hurt him that his father didn’t watch him play. “I just didn’t understand why he wouldn’t come to games,” Silas said. Still, Silas wanted his father to be proud of him, so he let Leon decide where he’d go to college. Leon, who worked as a train porter and often passed through Omaha, Nebraska, instructed his son to attend Creighton. Silas loved playing for the Hawks. He grew close with teammates Lenny Wilkens, Bill Bridges, Zelmo Beaty, Joe Caldwell, and others. The Hawks made the playoffs in all five of Silas’s seasons with the team, but they could never make to the Finals, falling short year after year against the Los Angeles Lakers or the San Francisco Warriors. In 1968, the Hawks moved to Atlanta. Silas played a season there before being traded to the Phoenix Suns. He played three seasons in Phoenix, where coach Cotton Fitzsimmons encouraged Silas to shoot more. “I worked on it and I got better,” Silas said. “Not really good, but better.” His scoring average jumped nearly six points to 17.5 points per game in 1971-72, his third year in Phoenix. That season, Silas made his first All-Star team. Boston’s win total fell to 56 in Silas’s second season there, but even though they won fewer regular-season games than the previous year, the Celtics managed to get past the Knicks in the Eastern Conference to meet the Milwaukee Bucks in the Finals. The teams traded victories throughout the series, with Kareem Abdul-Jabbar’s game-winning hook shot in double overtime garnering Milwaukee a pivotal win in Game 6. Before Game 7, Auerbach, Heinsohn, and retired Boston legend Bob Cousy gathered to discuss strategy going into the final game. “I can’t understand why you don’t do what everybody else does and double him,” Cousy said, referring to Abdul-Jabbar. The following season, Boston fell short of winning back-to-back titles, bowing out in the Eastern Conference finals to the Washington Bullets. 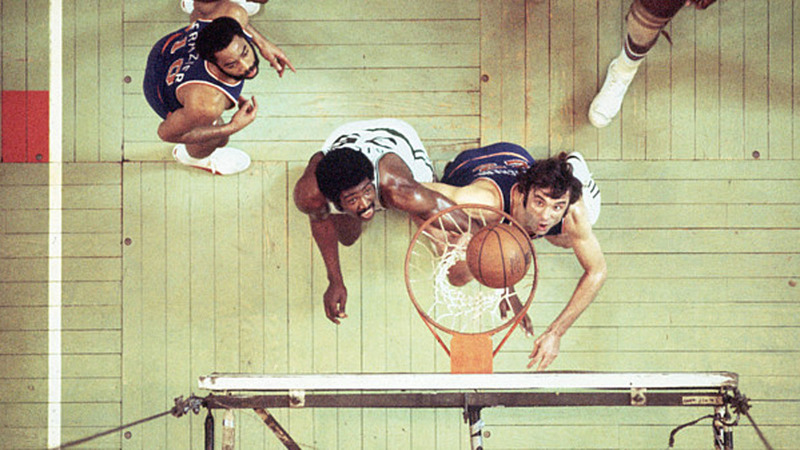 But the Celtics found themselves in another nip-and-tuck NBA Finals against the Phoenix Suns in 1976. The fifth game of that series has gone down as one of the most memorable in NBA history. With the score knotted at 95 at the end of regulation, Silas tried calling a timeout when Boston no longer possessed any. Fortunately for the Celtics, the referees failed to grant it, and Boston was spared a technical foul call that would have given Phoenix a chance to win the game at the free throw line. Instead, the game went into overtime, when several more miscues and controversies would unfold. The Celtics appeared to be on the verge of winning in double overtime after Havlicek sank a jumper at the buzzer that put Boston ahead, 111-110. The Boston Garden diehards streamed onto the court to celebrate, but officials decided that a second remained on the clock. This enraged some fans, one of whom attacked a referee while others flipped over the scorer’s table. Phoenix guard (and member of the Celtics’ 1974 champion squad) Paul Westphal then called timeout, even though the Suns had also used all of their timeouts. White sank the technical free throw, giving Boston a two-point lead, but the play allowed Phoenix to advance the ball to half court. “Tommy, we’ve got a foul to give, so when they throw the ball in, let’s foul them and the game’s over,’” Silas said in the huddle. Heinsohn decided against it. “And what happened?” Silas said. “They threw that ball in [and] bam.” Gar Heard sank a turnaround jumper from the top of the key and the game headed to a third overtime. “I walked off the court,” Silas said. “I was so mad.” Even though Silas fouled out late in the third extra period, Boston held on to finally win, 128-126. Silas played one more season in Seattle. The SuperSonics won 56 games in 1979-80 but bowed out to the Lakers in the conference finals. Silas hadn’t thought much about coaching at that point, but he had enjoyed the leadership role he played in Seattle and wanted to stay involved in the sport. Silas received two offers. He could play one more season in Dallas and become an assistant the next season or be a player-coach in San Diego. Silas decided that if a head-coaching job was being offered, he needed to take it, so he accepted the Clippers job. He had no idea when another such opportunity would come along. In 1981, Sterling purchased the Clippers for $12.5 million. Billboards of Sterling’s face were soon plastered around San Diego County. Sterling pledged to build a winner, but following his original unsuccessful bid to move the franchise to Los Angeles, he began cutting costs. “He wanted to be the guy where everybody looked at him and he’s the man,” Silas, who coached the Clippers during Sterling’s first two years as owner, said. “It’s his club and he’s running it. I just didn’t want to be that much around [him]. If I could get up and leave, then that’s what I would do.” Sterling failed to make deferred compensation payments to players and coaches, he missed payments into the players’ pension fund, and he skimped on the franchise’s operating costs. “We had no practice facility,” Silas said. “He didn’t want to spend money for anybody to do any taping [on players’ankles]. We fired the guy and then I had to do it.” Silas once left for China on a National Basketball Players Association exhibition tour. When he returned, he found that all of his belongings from his office had been moved into a hallway. His office had been given to Patricia Simmons, a former model and Sterling companion whom the boss had hired as an assistant general manager. Sterling also refused to act when Clippers forward Joe Bryant complained that the team wasn’t flying first class, as was required by the player contracts. Bryant said the players planned to skip their next road game in Seattle if their flights were not upgraded, but Silas managed to talk him out of leading a walkout.1 Silas asked Bryant to have the team play that game against the Sonics before refusing to play further road games without flying first class. They played in Seattle and the issue was eventually resolved without forfeiting any games. The Clippers’ best player at the time was one who seldom played. San Diego had made a splash in 1979 by acquiring Bill Walton from Portland. Walton had won a championship with the Trail Blazers in 1977, but soon thereafter foot injuries began forcing him to miss games regularly. Walton grew to mistrust the Portland medical staff, which he felt pressured him to play, and the tension between Walton and the franchise grew until the center demanded a trade. When Walton arrived in San Diego, he tried challenging his new coach. At the beginning of practice one day, Silas directed the team to shoot layups. Walton pulled up for jumpers. Silas then told the team to shoot jumpers, and Walton drove in for layups. At this point, Silas understood that Walton was testing him. He confronted Walton immediately. The Clippers fired Silas in 1983, after his third season as head coach. “I knew I was going to get fired,” he said. “We were driving [one time] and my kids were young and I stopped the car and just started crying like a baby. They always remember that.” He went 78-168 with San Diego. Silas left basketball for a couple of years. He moved to New York, where he ran a fast food restaurant and a health club. Eventually, however, Silas felt the urge to reenter the game. He joined the Nets in 1985 as an assistant coach for one season before moving to the Knicks in 1989, where he coached under Stu Jackson, John MacLeod, and eventually Pat Riley. It took an unexpected turn of events for Silas to finally land another head-coaching gig. After the Hornets lost 11 of their first 15 games in the lockout-shortened 1999 season, Cowens suddenly decided to quit. His trademark passion had vanished, not unlike what had happened in Boston after Silas left for Denver. “It shocked us,” said David Wesley, a Hornets guard from 1997 to 2004. “No one saw that coming. You could see the grind on the face. We never really knew the full reason why that happened.” Whatever drove Cowens to resign, Silas was tabbed to replace him. Even though his recent assistant coaching experiences had kept Silas updated on how the NBA had changed over the years, he found that being an NBA coach in 1999 was vastly different from being one in 1983. It was no longer a coach’s league, and the players, with their multimillion-dollar contracts, held more power within franchises than the coaches did. Still, Silas’s achievements as a player gave him a pedigree that few other coaches could match, and he used the respect it earned him to be both stern and friendly with his players. Under Silas, the Hornets finished the 50-game season 22-13 after the 4-11 start. 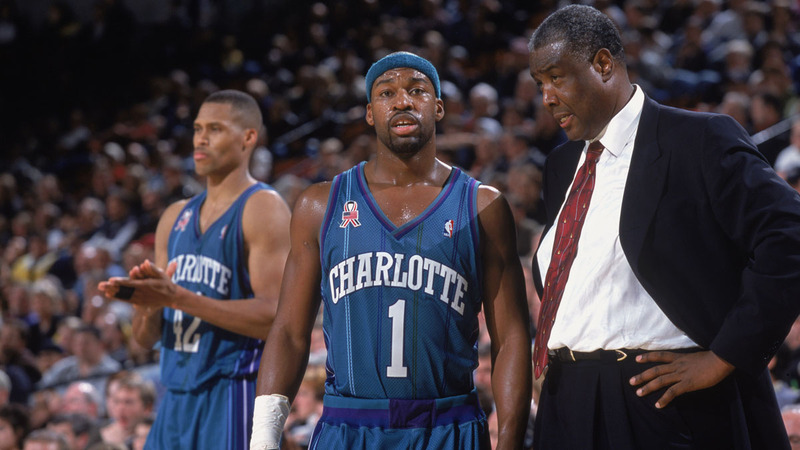 On January 12, 2000, Charlotte guard Bobby Phills lost control of his Porsche and slid into oncoming traffic. The crash killed him instantly. He was 30 years old. Wesley, who was driving on the same road at the time of the accident, would later be convicted of reckless driving. Wesley was acquitted of charges that the two had been racing. The crash occurred less than a mile from Charlotte Coliseum. Within minutes, Silas and most of the team had gathered at the scene of the accident. This time, Silas was not out of a job for long. 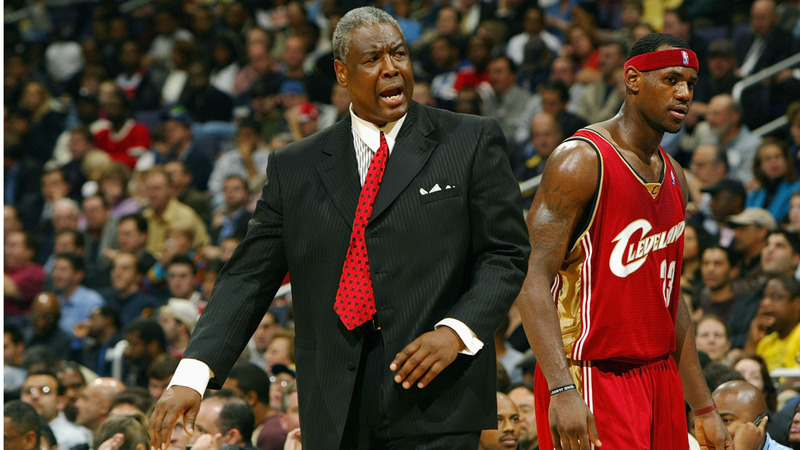 The Cleveland Cavaliers, who had won the first pick in the 2003 draft and planned to select LeBron James, hired Silas to be the first head coach of the King James era. Silas’s reputation for toughness and leadership made him the right man to guide the early portion of James’s career. “I saw him handling the ball and he learned how to play really, really well and learned my system, so I made him my point forward,” Silas said. “But we had a lot of players that did not like him that much because the media would talk about him, how great he was going to be.” One practice, Silas noticed James’s mood seemed down. It was routine for Silas’s Cavs to shoot 100 free throws before every practice, and James was refusing to shoot. Silas called the star rookie to his office. From his days with the Celtics and Sonics, Silas knew that respect among players had to be earned. If James was to become a leader on this team, he needed to prove it. The older players wouldn’t follow him just because of his talent. Michael Jordan came after Silas next. 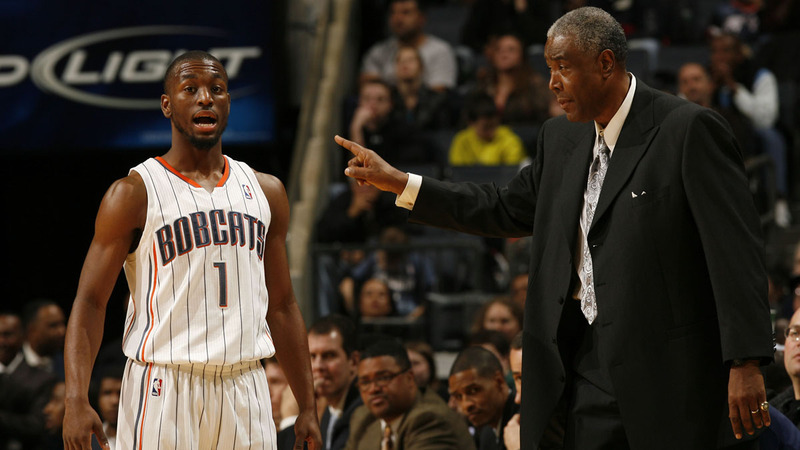 The Bobcats brought Silas back to Charlotte following Larry Brown’s resignation in the middle of the 2010-11 season. When Silas took over, the Bobcats were 9-19. They started out 6-2 under Silas, then fell back to playing slightly better than .500 ball. By then, the Bobcats had grown tired of keeping pace on the NBA’s infamous “treadmill of mediocrity.” They had been good enough to sneak into the playoffs (and get swept in the first round) the previous season, but heading into the February 2011 trade deadline, Charlotte was 22-30 and unlikely to rally for a second consecutive playoff berth. The team decided to rebuild, trading Gerald Wallace near the 2011 deadline and then shipping Stephen Jackson to Milwaukee the following summer. The deals netted Charlotte mostly draft picks and salary-cap flexibility. Everyone has a line. It’s just not wise to cross it with a coach who had earned the nickname Ol’ Grizzly Bear. The Bobcats let Silas go after the season. By then, Silas understood the gift and curse of being an NBA head coach: You are hired so you can be fired. Silas was just one of many to ride the Charlotte coaching carousel. The franchise has cycled through six head coaches in the past decade, and it seems to have found stability with Steve Clifford, although that may change if the Hornets, off to a 3-5 start, can’t live up to playoff expectations this season. Still, when Jordan spoke recently about the franchise’s search for a long-term leader on the sideline, he expressed confidence in Clifford. It’s fair to say Silas got the short end of the stick in Charlotte, as far as “the right team” was concerned, but he remained gracious about his time with the team and he remains involved with the franchise. “It was difficult losing, but I didn’t say it was whoever’s fault,” Silas said. “I talked to Michael and he let me do some speaker engagements the last couple of years, so life is good.” Over four teams and 12 seasons, Silas ended with a career 387-488 coaching record. Would Silas ever coach again?